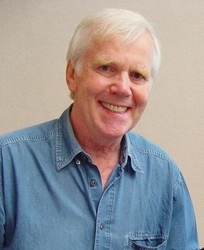 Jeremy Bulloch is a British actor. He has appeared in numerous British TV and film productions, including Doctor Who and Robin of Sherwood. In a career spanning almost half a century, he is perhaps most famous for his role as Boba Fett in the Star Wars films The Empire Strikes Back and Return of the Jedi. He also has a minor role in two James Bond films as Smithers, an assistant to Q. In 1962, he starred alongside Cliff Richard in the hit musical Summer Holiday. Bulloch has also appeared in two Doctor Who stories, The Space Museum and The Time Warrior. In recent years, due to the release of the new Star Wars films, he is frequently invited to Science Fiction conventions throughout the world. In 2004, he published a limited edition memoir, Flying Solo, which is a humorous account of his personal and professional life, interspersed with tales from the convention circuit. In 2005, he once again made an appearance in a Star Wars film, this time playing Captain Colton in Revenge of the Sith. Recently he played a small cameo role in Star Wars fanfilms Order of the Sith: Vengeance and its sequel Downfall - Order of the Sith - alongside David Prowse and Michael Sheard. These fanfilms were made in England in support of Save the Children. Jeremy has three sons, nine grandchildren, and lives in London with his wife, Maureen.